Double Piper aircraft "Cab" best known aircraft. Copies of the "Cab" build dozens of companies and thousands of fans around the world of ALS. 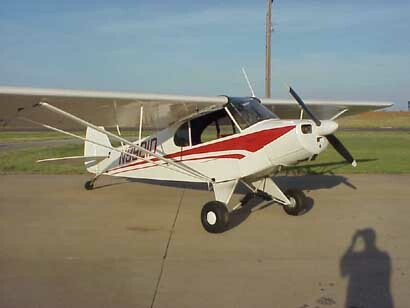 It is also known as the Piper "Graskhoper", this design served to create many successful aircraft as "Auster" Mk 3 and the "Cessna" 19 (0-1). 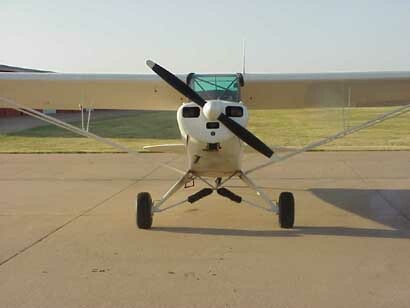 For the construction of the aircraft requires the engine power of 65 hp or more. The most appropriate vehicle engine conversion "Subaru" and "WV". The frame of steel pipes. Boarding an airplane linen. Wooden fixed pitch propeller. The aircraft can be built in a home workshop without using special equipment. Parts and accessories easy to find. 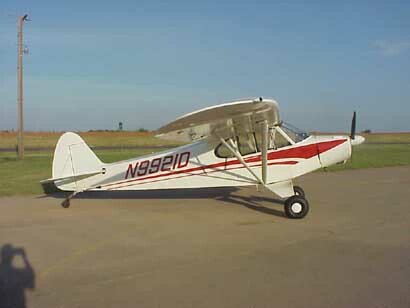 Avitsionoe equipment can be purchased at the store, and ALS AIRCRAFT SPRUCE AVIONICS. For the construction of necessary experience with metal. 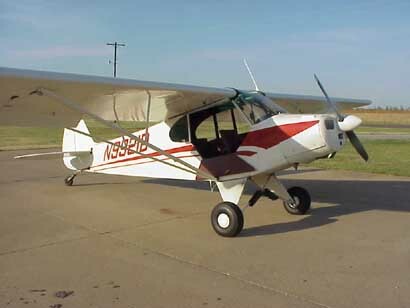 Aerodynamic and structural and power scheme "Cab" is typical of the planes 30s, but it is widely used to this day - including on the amateur devices. Wing with V - shaped strut has two spar construction. This braces "remove" is not only bending but also torque wing. These wings are the most easy and simple. Wing spars "Cab" wooden, box. The ribs are made of plywood. Wing entirely sheathed blade, a narrow strip sock wing has a rigid casing to maintain the shape of the nose profile. The fuselage is a rigid three-dimensional trusses, welded steel pipes. All the linen-covered fuselage, to be shaped on a steel frame attached under the sheet a few wooden stringers. 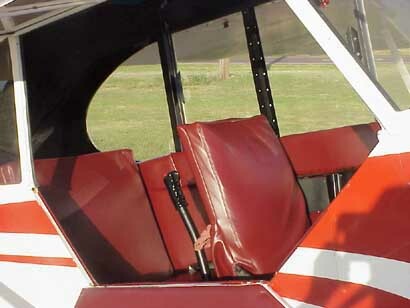 The forward fuselage cabin is located, designed for two pilots sitting one behind the other. The dashboard is only one - at the front pilot. Entrance to the cabin is via a wide double door in the starboard side. The tail assembly is also very simple design. Keel Stabiliser hydroplanes and consist of steel pipes, covering each of these units around the loop and several other similar tubular rib. All the elements are joined by welding, and then fitted by tail blade. Profile plumage this gives a completely flat and very thin, the strength and rigidity is provided and braces. Efficiency plumage, despite flat slim profile, is ample. Such a simple scheme of feathers commonly used so far on amateur and sport airplanes. Chassis as welded steel pipes. To reduce aerodynamic drag flat side farm chassis upholstered cloth. On the plane can be installed motors up to 130 hp ot55 Car Engines "Subaru" and "WV" the best and most affordable option. Use one-piece wooden fixed-pitch propeller. The fuel tank is located in the forward fuselage just behind the firewall. On the plane set set simple navigation equipment, including speed indicator, altimeter, compass, tachometer, temperature sensors, cylinder head and oil temperature. Warning !!!! Drawings in English.